Join us at Pretzel and Pizza Creations in downtown Hagerstown for a paint night with local artist, Renee Gamby! 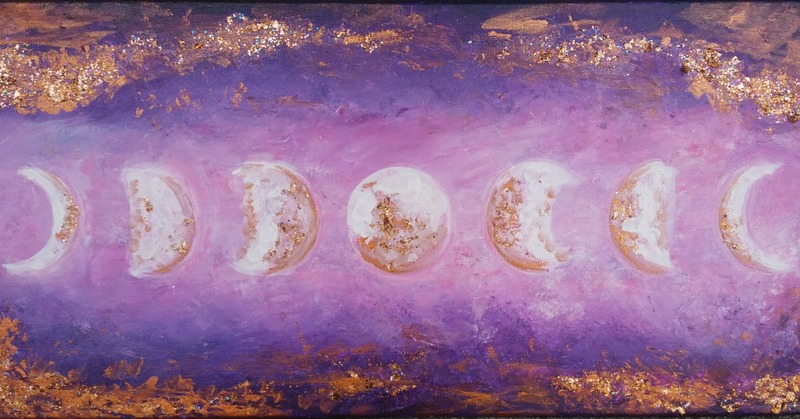 This week's painting is called Phases of the Moon. Renee will instruct how to paint the phases of the moon on an abstract background. A special feature of this painting is the copper metallic and glitter paint used to embellish the background and moons! Your painting will sparkle and shimmer with this final touch!Ticket includes canvas, supplies, instruction, and a complimentary drink!